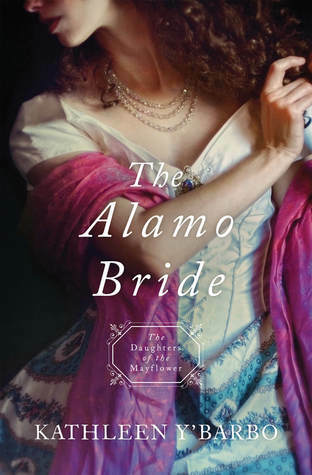 In the newest installment of The Daughters of the Mayflower series, Kathleen Y’Barbo takes readers to Texas and the events surrounding the Alamo. I’ve been looking forward to this installment of the Daughters of the Mayflower installment for a couple reasons. (besides the fact I am loving this series). First, while the story is set near my current residence, I knew very little about the Wilderness Trail. 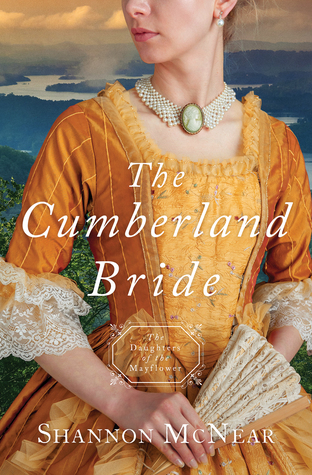 Another reason I wanted to read The Cumberland Bride is that Shannon McNear is a new-to-me author. 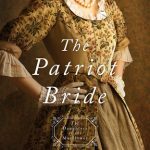 Welcome to THE PATRIOT BRIDE Blitz with JustRead Publicity Tours! Have you been following along the Daughters of the Mayflower series through the Lytton family tree? 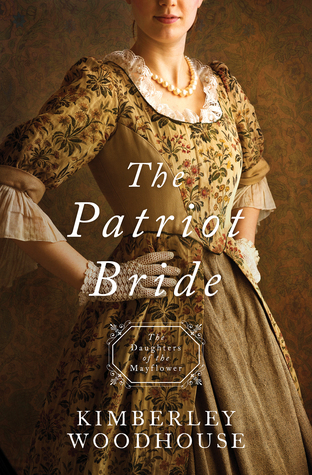 The Patriot Bride takes us to the doorstep and into the foyer of the Revolutionary War. The Onset of the Revolutionary War, two spies, a man who will not take no for an answer, and supporting roles from George Washington and Benjamin Franklin are just a few of the highlight in The Patriot Bride, the latest release in the Daughters of the Mayflower series. 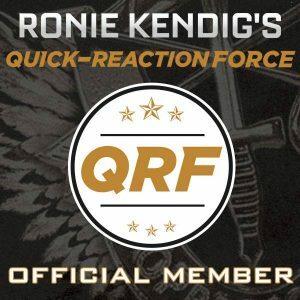 Are you someone who doesn’t like a lot of romance in your…romance reads? There is a bit of that in The Pirate Bride, but this book is definitely heavier on adventure and the journey the hero and heroine take (in fact, they’re separated for eleven years in this story). In the second book of the Daughters of the Mayflower series, readers are taken back to the sea. This time in the waters of the Caribbean with threats of pirates and privateers to travelers. Eleven-year-old Maribel Cordoba is fearless when it comes to experiences on the water even though all of her knowledge has come from books. When she joins up with Captain Beaumont’s privateers, her favorite place on the ship is up high as the lookout. The precocious girl charms the crew and eventually wins over the captain. Kathleen Y’Barbo’s The Pirate Bride is a bit different from many historical romance reads out there in the fact that the hero and heroine are separated for much of the book. The romance portion is minimal up until the last quarter of the book. Don’t let that deter you from reading this one, though. Maribel is a girl you are immediately drawn to and as she becomes a young woman, that doesn’t change. The Captain’s air of mystery, as well as his uncertainty regarding one former member of his crew who was lost to him, will keep you reading these pages. Y’Barbo’s portray of life on the high seas, on a Caribbean island home to children and the nuns who care for them and the fledgling city of New Orleans are descriptive and picturesque. The Pirate Bride raises the bar set with The Mayflower Bride.